Meet Kathryn Peake, AARO’s Communications Manager. 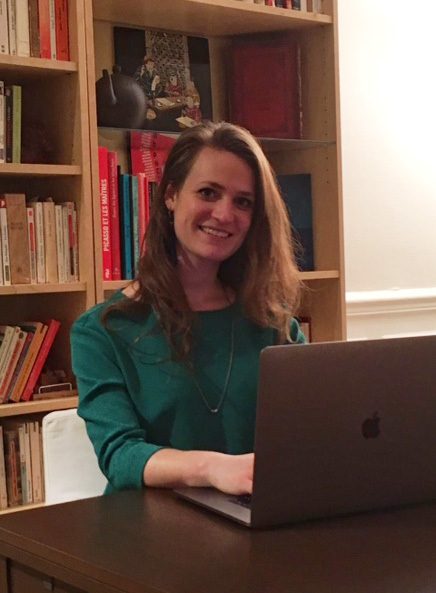 Kathryn is a bilingual marketing and communications professional, and since 2015 she is the person behind the quarterly AARO Newsletter and the bi-weekly News and Views. A graduate of Groucher College in Baltimore, Maryland (BA in French Language and Literature) and the Université Sorbonne Nouvelle - Paris 3 (MA in Modern Literature/Publishing), she has lived in Paris since 2011. I came to Paris as a study abroad student in 2009, and never really went back to the US. I went to graduate school in Paris, then was hired by a French company... and here I still am! Do you feel less American now that you live outside the US? I wouldn't say I feel less American, exactly. I grew up in the US and still have many connections there. But certain American habits or aspects of American culture feel strange now that I've spent many years abroad: the high volume of many Americans' speaking voices, the absence of sales tax from price tags, or serving cheese before a meal, to give some examples. What is the thing you miss most about the US? You might not think it from the most recent presidential election, but I do find Americans exceptionally open. I'm always impressed by how easy it is to talk to strangers every time I got back to New York. What do you like most about where you now live? Many things! I love how cosmopolitan Paris is, and how accessible culture is here. I like the relatively small scale of the city: I can bike everywhere! Being in a major capital also makes it easy to travel just about anywhere. And I like the rhythm of life in France, which in many ways seems less frenetic than in the US. What do you do for AARO (and what does AARO do for you)? I am AARO's Communications Manager, so I publish events and articles on our social media pages, co-moderate the AARO Public Forum on Facebook, and coordinate both the News & Views and the quarterly newsletter. AARO has helped me connect with the American community both in France and elsewhere. It's also a great resource for information! I pass along voting information I get from AARO to my American friends in France. 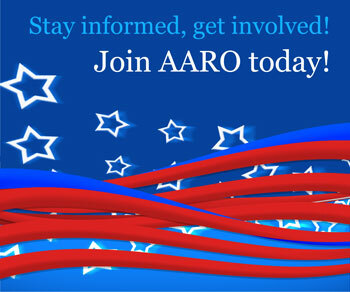 AARO events and AARO's website are also wonderful places to get information on things like filing US taxes from abroad, and the latest on how US legislation effects the overseas American population. What do you think is the biggest challenge facing an American living abroad today? I think the enforcement of citizenship-based taxation and the results of FATCA are a major challenge for many Americans living abroad. These things haven't affected me in a big way personally, though: I'm relatively young, do not share a bank account with a foreign spouse (or anyone else), and don't own property. I think the biggest challenge I feel is being expected to answer for American policy decisions that people in other countries may find absurd or discriminatory. Do you still feel connected to the American political scene or have you become “French”? I definitely still follow and feel connected to the American political scene! It's hard to be disconnected, since American politics are often featured in newspapers around the world. Beyond that, though, I am still very interested in what goes on in my home country, and I enthusiastically exercise my right to vote.